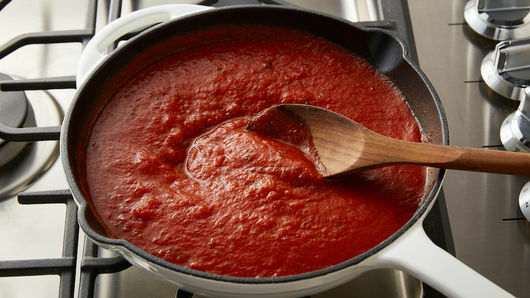 In 10-inch nonstick skillet, add marinara sauce; cover, and heat over medium heat 3 to 5 minutes, stirring occasionally, until warmed through. 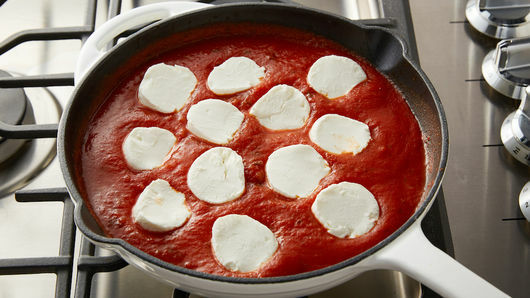 Reduce heat to medium-low; place goat cheese rounds on top of marinara sauce. Heat 10 to 15 minutes or until bubbly and cheese is softened. If necessary, cover to prevent sauce from spattering. Top with fresh basil before serving; serve warm. 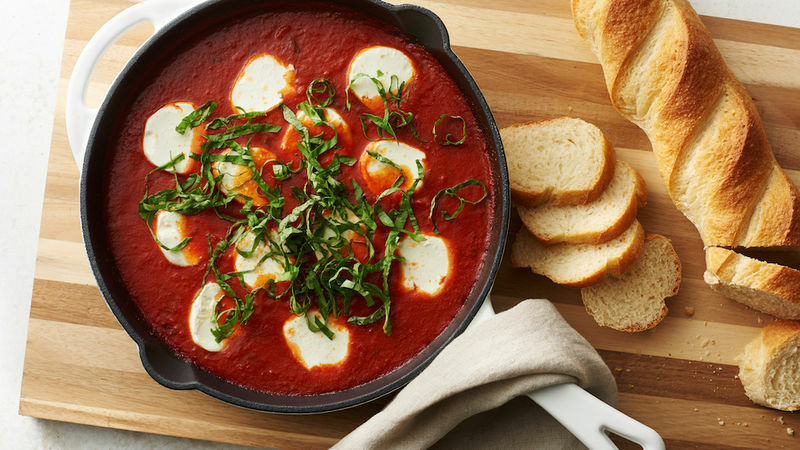 Jazz up your dip by adding a drizzle of olive oil or balsamic vinegar, or try adding sliced kalamata olives, roasted garlic or crushed red pepper flakes to the marinara sauce. Serve dip with sliced French loaf, crostini or bagel chips.